These terms and conditions are in addition to the general terms and conditions published on the website www.Jackpot247.com ), which also apply to this promotion, in particular sections 17 and 18 that relate to bonus money and promotions. You must be 18 years of age over and resident in Great Britain to take part in our promotions. This promotion is not available in Northern Ireland or the Channel Islands. Employees of Channel 5 Broadcasting Limited, the Viacom group of companies, ITV Plc, NetPlay TV and any associated company, their families and anyone connected with NetPlay TV and the scheme, or those ineligible to enter under other clauses in these terms, may not participate in the promotion. The promotion is only available to first-time registrants to Jackpot 247 who register via this web page. 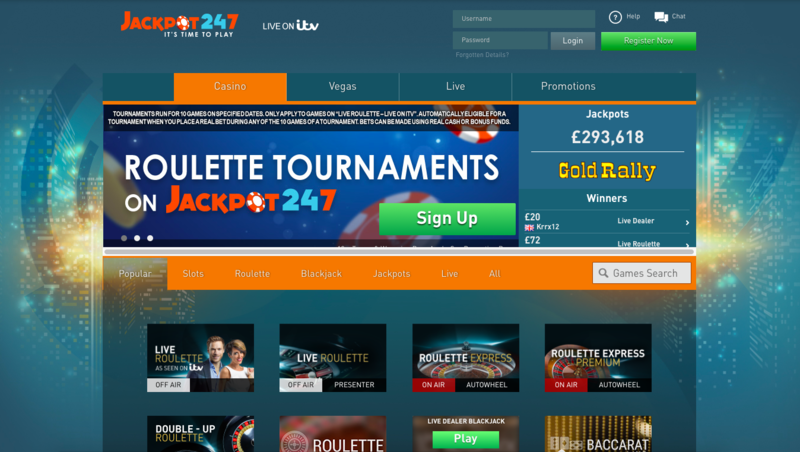 To register You will need to agree to Jackpot 247’s full terms and conditions available. Please read these carefully. The Bonus is only available if you click to accept bonuses by ticking the box when completing the registration form. If you accept the bonus then it will be added to Your account when You make Your first deposit, but if you do not tick the box to accept bonuses then You will not receive this bonus or any further bonus offers. Upon making this First Deposit You will receive a bonus amount equal to 100% of the amount deposited, to a maximum of £200. For example, if Your First Deposit is £30 You will receive a 100% bonus of £30 in bonus funds to Your account. The total amount available for You to play with in this scenario would therefore be £60; £30 of which would be Your First Deposit amount, with the remaining £30 being the 100% Bonus. For clarity, any deposits over £200 will receive the maximum 100% bonus of £200 only. This offer is not valid for deposits made using Paysafecard, Neteller and/or Skrill. Deposits made using these services will NOT trigger the bonus. Once the 100% Bonus has been received and is active on Your account, Your bonus and any winnings accrued (whether accrued through wagering with the First Deposit amount or with the 100% Bonus amount) will not be available for withdrawal until the wagering requirements set out below have been met. Not all games will count 100% of your wagering towards your target figure for the wagering criteria. If You do not wish to receive the 100% Bonus please contact Our Customer Support team on 08000 147 535 or at [email protected] prior to making Your First Deposit. In order for the bonus amount and any winnings accrued on this offer to be withdrawn You must wager an amount equal to or exceeding 25x the bonus amount plus the First Deposit amount (to a maximum of £200) within 30 days of receiving the bonus (the “Wagering Requirement”). For example, if the First Deposit amount was £30, the 100% Bonus amount would be £30, therefore the total required to be wagered before withdrawal of any amount would be £1,500 (25 x (£30+£30) = £1,500). The bonus and any winnings accrued will be forfeited and removed from Your account if either (a) You do not meet the Wagering Requirement within the allotted timeframe, or (b) You decide to withdraw any amount from Your account before meeting the Wagering Requirement. All our bonuses are designed to enhance your enjoyment of our games but we do reserve the right to manage how bonuses are used before you may cash them in, therefore not all bets will count towards the Wagering Requirements for your bonus. Bets on Blackjack, Arcade games (Heads or Tails, Dice Twister, etc), Video Poker games (Jacks or Better, Aces and Faces, etc), Baccarat, Casino Hold'em, 2 Ways Royal, Craps and Sic Bo games contribute 5% of actual wagering on these games towards your wagering requirements. 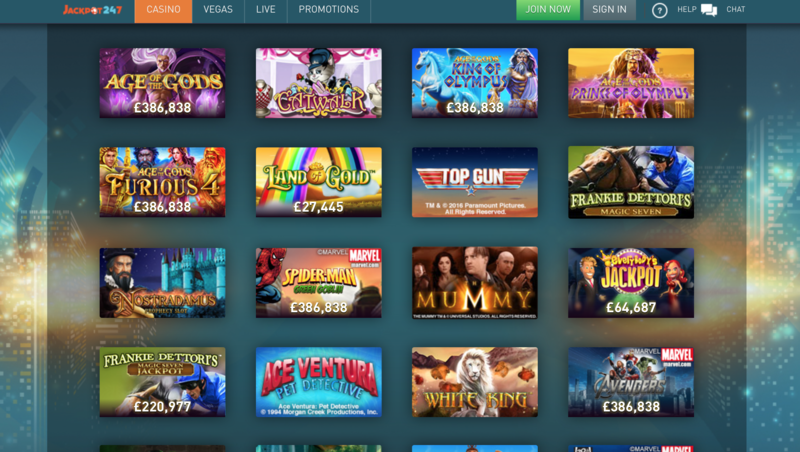 The majority of Slots games contribute 100%, however there are various slot games that do not contribute to wagering at all (0% contributing towards wagering), games in this category can be found listed in full. Roulette games also contribute 100% towards requirements with the exception of any bets covering 19 numbers or more (for Mini Roulette covering 7 numbers or more) on the wheel in order to reduce the risk of the wager. Users who have used such wagering tactics in order to redeem their bonuses may have their bonuses, cash prizes and any subsequent winnings removed from their account. Please be aware that a valid telephone contact number MUST be provided on registration as We may make a confirmation call to You as part of confirming Your identity. If you cannot be contacted on the number provided any winnings accrued from use of this bonus offer may be forfeited and Your account terminated. NetPlay TV reserves the right to amend this promotion at any time without prior notice and without liability to You where circumstances beyond Our reasonable control demand it. Any changes to the promotion will be published in these terms and conditions. In the event of any fault, mistake, misunderstanding or dispute concerning the operation of any part of the promotion NetPlay TV’s decision shall be final. Any changes to the promotion will be published in these terms and conditions. This promotion is provided by NetPlay TV Group Ltd, 2 Victoria Street, Alderney, British Channel Islands, GY9 3UF.